During his over 30 years’ experience in ecologically-focused planning and design practice, David has served a significant leadership role in a wide array of restorative projects and efforts, including the celebrated Chicago City Hall Demonstration Green Roof, one of the nation’s first ecological green roof applications, and one of North America’s first comprehensive green street demonstration projects in West Union, IA. 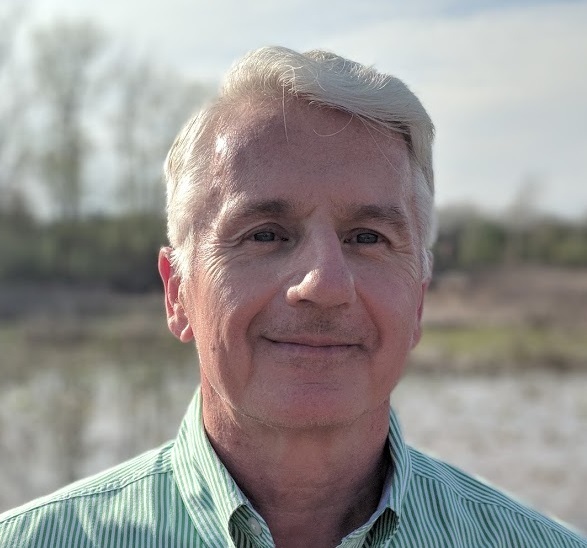 Home-based in Grand Rapids, MI, David oversees Biohabitats’ landscape architecture and planning disciplines in the western Great Lakes and upper Midwest regions. Andy Creath is an entrepreneur in the environmental and sustainability fields. He founded Green Roofs of Colorado, a green roof design, installation, maintenance, and consultation company. Andy is recognized as an Accredited Professional in Leadership in Energy and Environmental Design (LEED AP) by the U.S. Green Building Council. He is a board member for the Green Infrastructure Foundation, which was founded in 2007 to respond to the need for greater awareness and resources to promote green infrastructure in local communities. He worked for four years at the U.S. Environmental Protection Agency (EPA) as a program analyst within the Office of the Inspector General. A seasoned entrepreneur and scientist recognized for leadership in sustainable development and climate resilient design. Proven track record helping business and government to identify and operationalize emerging technology related to the built environment and industrial ecology. Experience spans consulting, R&D, and numerous Board roles for NGO and business. Michael is the co-founder and former board chair of the Green Infrastructure Foundation. He is also the Founder and Principal of Kandiyo Consulting and Kandiyohi Development Partners, a multi-disciplinary development and consulting firm in Minneapolis focused on green buildings, renewable energy, green infrastructure and public policies related to sustainability. Projects include community-scale renewable energy development, grant-writing, LEED certification, green infrastructure planning, energy and development analysis and feasibility studies. Peter Lowitt is Director/Land Use Administrator for the Devens Enterprise Commission, the agency charged with permitting the redevelopment of the former Fort Devens army base in Massachusetts. At Devens, Mr. Lowitt focuses on the sustainable redevelopment of the 4400-acre former army base. In this capacity he is developing the EcoStar environmental branding and achievement program to promote eco-industrial networking and green building. Mr. Peck is the founder and president of the industry association, Green Roofs for Healthy Cities, established in 1999 after completion of the report “Greenbacks from Green Roofs: Forging a New Industry in Canada.” The association organizes research and training to determine the public and private performance of green roof systems in order to support public investment in the development of a multi-million dollar market for green roofing products in North America. Working with NRC’s Institute for Research in Construction, Environment Canada, and the City of Toronto, the consortium helped secure Team Funding for technical research and market development in Toronto. He has traveled all over North America and world wide promoting public policy support and research on green roofs and green walls. As a practicing architect for more than 25 years, Lois’ career goes well beyond the domain of project design. She has been a national leader in the application of green technologies and sustainable planning to the public and private sectors. She is a public policy advisor to elected officials and has participated in the development of policies to lessen the negative impacts of the built environment on the health of people and on our natural resources. Her specialty is found in the intersection between applied technology and the development of policy provisions for City, State, and Federal entities. Internationally, Lois is a Sustainable Designer for Kuwait Gulf Oil Corporation in Kuwait. In addition, Lois applies these technologies and practices to leading edge sustainable designs and consulting to design teams and clients to maximize the environmental potential for projects. Kirstin Weeks is a senior Building Ecology Specialist at Arup. She champions the San Francisco office’s Net Positive Design initiative, and specializes in integration of ecological function in the built environment.